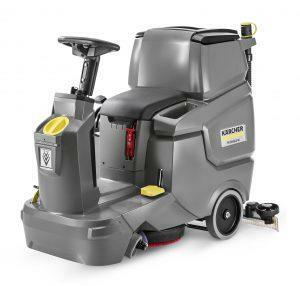 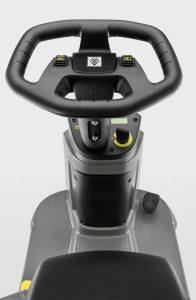 View more information about the Karcher BD 50/70 R Bp Classic (Battery) Ride on Floor Scrubber Drier below, or alternatively, call us on 0800 859 5151 to get a quote. 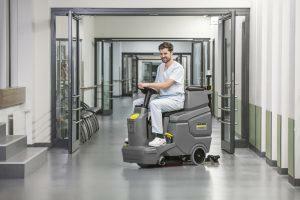 The Karcher BD 50/70 R Bp Classic battery-operated micro ride-on scrubber drier with disc brush technology is extremely easy to manoeuvre and transport, thanks to its slim, compact design – it boasts a tiny 1.6m turning circle and can easily negotiate lifts. 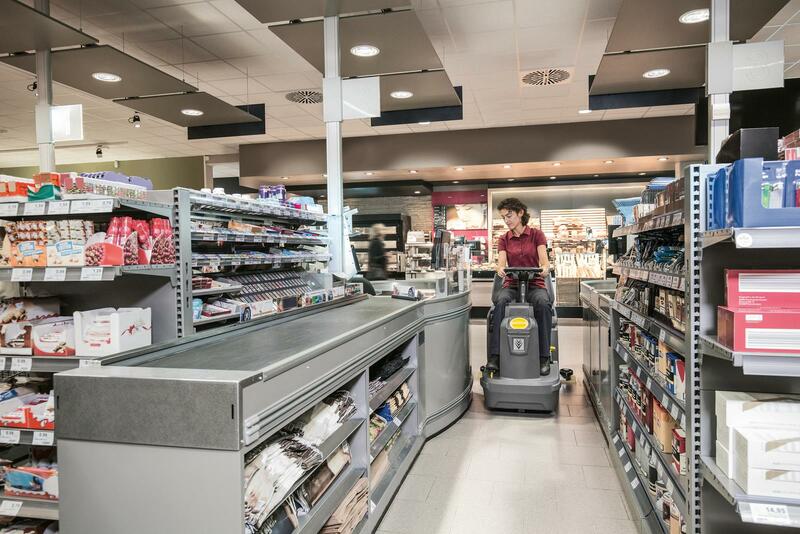 Driven by powerful 105 Ah batteries, this affordable entry-level model delivers a practical and price-competitive alternative to walk-behind machines (batteries and charger set included). 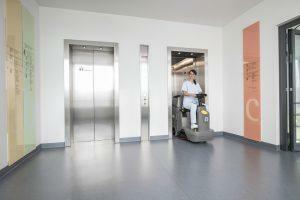 Its simple operation and colour-coded control elements are as impressive as the many more sophisticated features. 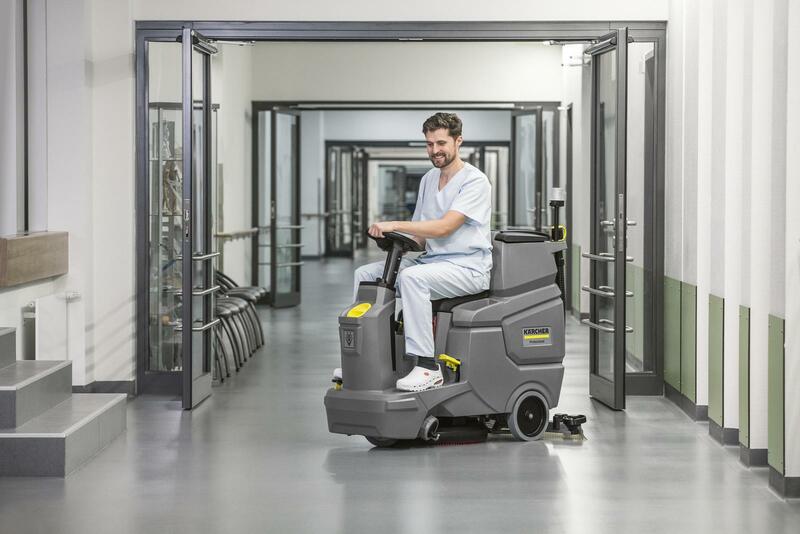 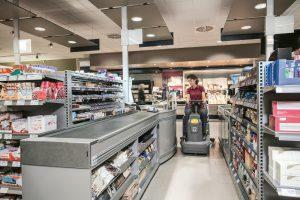 Featuring a Home Base kit, manual cleaning tools can travel with the operator – options include a bin bag holder and a pre-sweep mop – making the machine a flexible solution for cleaning operatives multi-tasking on a single shift. To get a quote for Karcher BD 50/70 R Bp Classic (Battery) Ride on Floor Scrubber Drier please use the form below or call us directly on 0800 859 5151 to speak to one of our helpful staff.